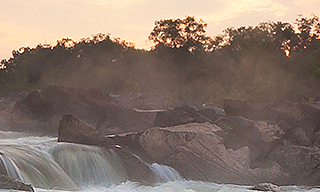 Millions of people living in the Potomac River basin are provided with safe drinking water every day. Meeting emerging challenges and ensuring a reliable supply for the future, requires vigilance and cooperation. By undertaking a collaborative approach, the unique Potomac River Basin Drinking Water Source Protection Partnership (DWSPP) – almost two dozen water suppliers and government agencies – helps to ensure that people’s most basic need for clean, safe and abundant water is reliably met.